Marteka and William Lake are not unfamiliar in the social media social media scene. Here we have a brother-sister duo that are trying to emulate the sound of other bluegrass artists but, in this case those artists are Earl Scruggs & Lester Flatt! Cybergrass frequently focuses on youth in bluegrass and these two from Hacker Valley, West Virgina are bringing that focus directly on them. Marteka and William, as they're most commonly known, have just released their latest and fourth album, The Sounds of a Tradition consisting of 11 tracks of pure traditional bluegrass music. This album is hot on the heels of their 2013 release, True Grass Revival. 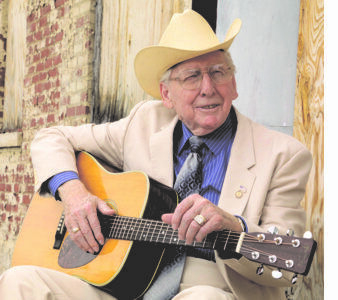 Bluegrass legend Curly Seckler, who is celebrating 77 years in bluegrass music, will perform at Columbia, Tennessee's annual Mule Day celebration on Saturday, March 31, 2012! The four-day event which starts on Thursday is expected to bring close to 100,000 people to Columbia. Saturday evening's bluegrass concert will cap off a full day of festivities, including exhibits, a mule pull, and a parade through downtown Columbia. The music will start at 6:00 PM, featuring The Huntley Sisters and Simon Slick & the Grasskickers. Curly Seckler, Willis Spears & the Nashville Grass will take the stage around 7:30 PM to close out the show.